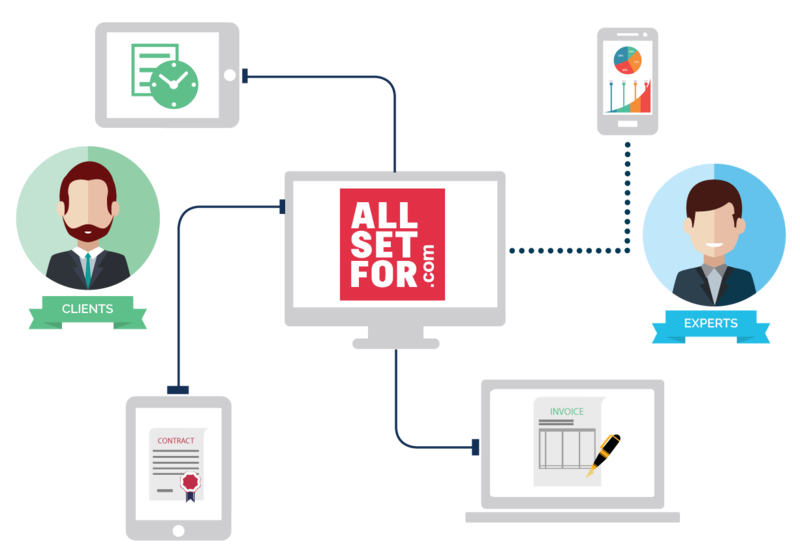 AllSetFor.com is a collaborative platform for professional training procurement and expertise development. Our innovative platform brings together the best experts and facilitates trainings search, exchange and management for small and large companies. We decided to develop our platform to better serve the purpose of our mission. Online since late 2017 after a 2 years development, it integrates a panel of innovative technologies to facilitate the daily management of our customer’s training needs (API, responsive interface, electronic signature, alert systems …). Contact-us now for a demo ! Operating directly in a Software as a Service (SaaS) mode, accessible from anywhere in 3 languages ​​and free of charge, our platform is hosted in Europe with the number one web hosting provider (Amazon Web Services). Our entire platform can be used on all devices as a particular care has been given to the user experience with a “responsive” design, that is to say that adapts to the size of your screen (mobile / tablet / PC). Our 8 years experience alongside large accounts has allowed us to think of a tailor-made system, ideally suited for the needs of our community. Centralisation of training needs, internal approval of proposals, management and electronic signature of contracts, centralised invoicing, management of various currencies, alerts system, ROI tracking … AllSeftFor.com brings together advanced LMS (Learning Management System) features while integrating a powerful marketplace based on a qualified community of experts. Fully based on our API. Our platform is naturally focused on seamless integration with our partners and customers. In addition, we are moving forward with our customers in the implementation of HRIS / LMS connectivity. Contact-us to know more !